As you may know from earlier posts, I am always struggling with the amount of storage space in my site collections. So whenever I find a site that appears not to have been used for a long time, I ask the Site Owner if the site can be deleted or archived. I have a dedicated site collection for archiving, so moving a site there allows me space in the original location. Archiving a site involves some actions to make it clear that this site is in “no-change” mode. 1. contains the word “Archived” (or a similar text) in title, URL and/or description. 2. Is “read-only” for a limited audience. Someone may need to add a new reader or delete a person no longer with the company, but that’s it. You don’t want content to be added, deleted or modified. You also don’t want that all employees can see this content. 3. Is not recorded/displayed in the search results. That keeps the search results fresh and saves time indexing. Besides, old and outdated information can be a cause for incorrect assumptions. Even for a limited audience, you do not want to run that risk. You can exclude a site or library from Search as follows. 4. Does not contain any versions of documents. Please note: If you do not move the content, you can remove versioning, but all versions of a document are retained until you edit the document. You could use a workflow to “ shave off” versions, but this may create orphaned versions that are hard to remove. 5. Has no active workflows. After all, nothing more happens with the content, so a workflow is no longer needed. Sometimes I make an export of the history before removing the workflows. 6. Has no empty lists or libraries. Empty containers are not going to be filled anymore, so it is better to remove them. It removes clutter and saves storage space. Of course there are exceptions. Now and then we have a site that needs to keep versions or workflow history, because it is subject to audit. But usually these 6 measures can be applied to all regular team sites. Hmmm, now that I read this I think I need to check if all my archived sites meet my own requirements :-). Do you have a certain way of archiving sites or content? Or do your users always clean up their outdated content themselves? If you have a good method to share, please do so! How do I spring-clean my intranet? 1. We allocate one subsite called Collaboration as our root site for all project sites used across entire organization (175 staff). We do this for easier admin maintenance and to promote cross dept collaboration, although even inter-dept projects go here as well. 2.We call them “workspaces” instead of projects to broaden the perception of their use beyond just official projects. 3. The idea is that all workspaces are temporary, they have a defined start and end date beyond which the final product will cease to be a project and becomes something else. Not.sure.how cleanup.will go, but I really like your idea of a separate site collection. Thank you for your comment! I like the idea of a separate site for collaboration. Some of my peers are using it and using the project number as the URL. It allows you to keep the URL short. A separate site collection for projects or archiving also allows you to have a very limited number of Site Collection Features enabled that need support or maintenance. As for the moment to retire a site, I usually suggest it to the Site Owner. Most of them are not used to think about this, and it is something that we need to embed in Governance. I have heard from other companies that they remove all project sites 3 months after completion, or after 1 year of inactivity, or a similar measure, and I would love to have a similar policy. Good luck with your setup and please let me know how things develop! One question I have been asked is what is the process for retiring a project site, moving final products elsewhere in the farm. i replied that I don’t know, depends on what the output from the project is and where it should go. While I see your point about old data perhaps being misleading, but why keep the site if it cannot be found? Perhaps it’s more a matter of knowing your users. Doctors would want current information, but a clinical researcher would benefit from a longer view. Thanks for all your practical tips. I often refer my “superusers” to this blog. Hi Richard, thank you for the feedback! Indeed we want to keep old content away from search, but I always make sure that the current sites contains a link to the archived content. That way people who are working in e.g. the Project Organization or R&D have the option to go to their part of the archive. I think that is even better because this way they know there is archived content relevant to their current projects or research. Hi Rick, that is Content Matrix. Thank you so much. I am googling that now. 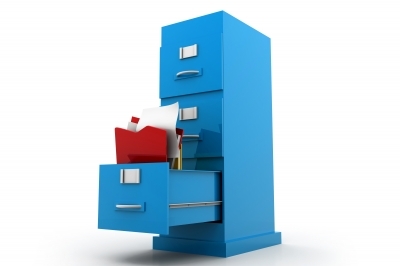 Really enjoyed your post about archiving SharePoint data. How would you achieve archiving a site or site collection? Could you please share your thought. Thank you for your comment. We use a migration tool to move the site from one site collection to the other, we do not migrate the permissions so they take them from the new parent, and then we do the rest (removing from search etc.) manually. Hope that helps!